The Boys Brigade engages with over 50,000 children and young people providing opportunities to meet together in their communities and engage in a range of fun and developmental activities. As an organisation they believe that empowering children and young people is important and do this by involving them in decision making at all levels of the BB and giving responsibility appropriate to their age and aptitude. What they do enables children and young people to engage with the needs of others (especially other young people) locally, nationally and globally and encouraging them to participate in activities and projects in which they can make a difference. 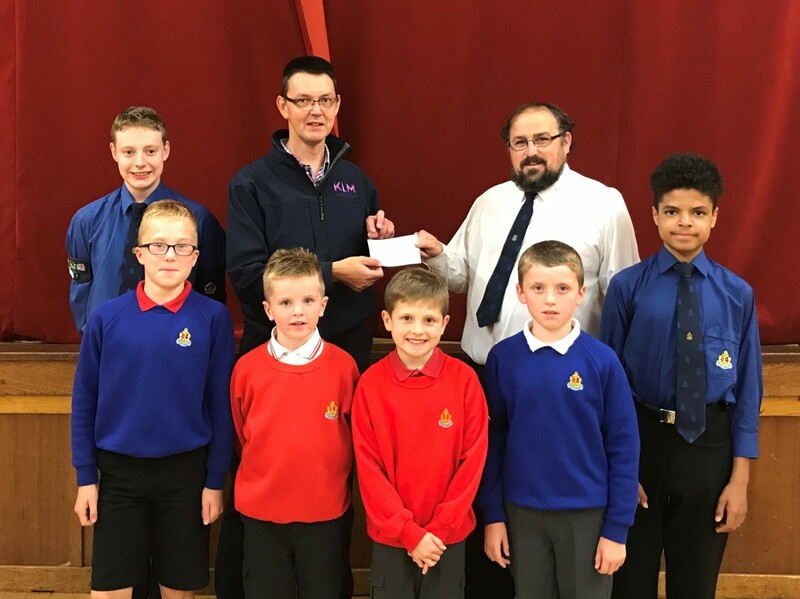 The KLM Partnership are delighted to be able to support 3rd Inverness Company of the Boys Brigade. The 3rd Inverness company which meets in Crown Church, Inverness was formed in 1917. As part of their centenary celebrations, the company are planning an activity weekend away for the boys. This will benefit the boys and help them to interact with their peer groups, and also will help them to establish existing friendships and also make new friends. The weekend will also help to build their confidence and leadership potential for their future. A number of staff members within the Practice have benefited from the Boys Brigade over the years. Our own Managing Partner, Bill Hamilton was a Queens Badge recipient in the early 1980s, and it was good to hear how the Boys Brigade has changed over the years. The picture shows Bill Hamilton, Partner KLM Partnership, presenting a cheque to Mr Steven McAra, 3rd Inverness Boys Brigade.